We are actively recruiting as we have a number of Clients in and around Oxford who need care. 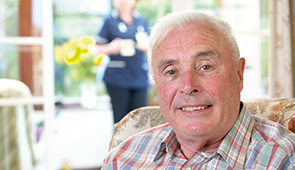 Can you provide helpful, friendly care and support in someone’s home? Are you trustworthy and reliable with your own car? If the answers are yes, then we would like to hear from you. Caring is a very rewarding and flexible profession and could be right for you. Excellent rates of pay and travel allowance are offered. We are looking for full and part time flexible people who can work at our busiest periods (early mornings/evenings) and alternate weekends. No experience is needed, as full training is provided to ensure our Clients maintain their independence and continue living in their own homes. To apply for a position with Acquire Care please click on ‘Application Form’ and complete the form or text JOB to 66777. If you would like to find out more about Acquire Care or you have any questions about caring as a career please contact us on 01865 601010. If you are wondering what it would be like to be a carer for Acquire Care, have a look here what a typical day would be.